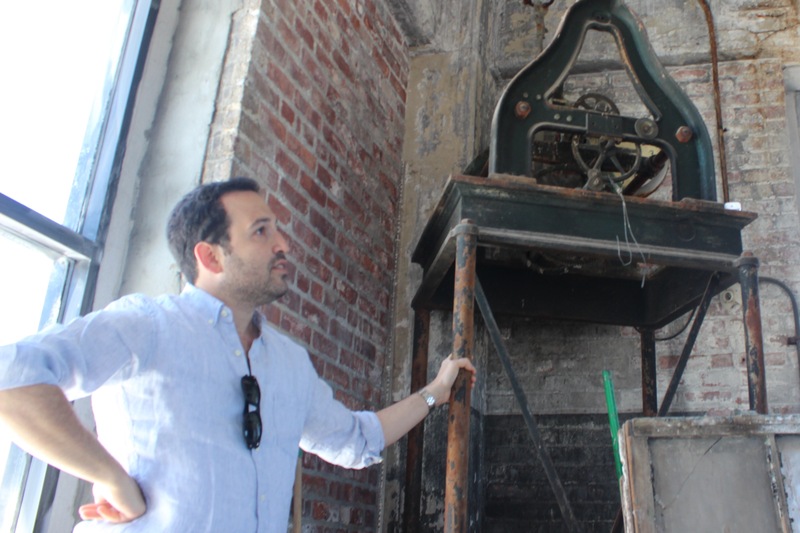 Jack Srour, owner of 495 Flatbush Ave. in Prospect-Lefferts Gardens, is beginning at $150,000 restoration project of the historic building's iconic clocktower. PROSPECT-LEFFERTS GARDENS — Let the countdown begin. 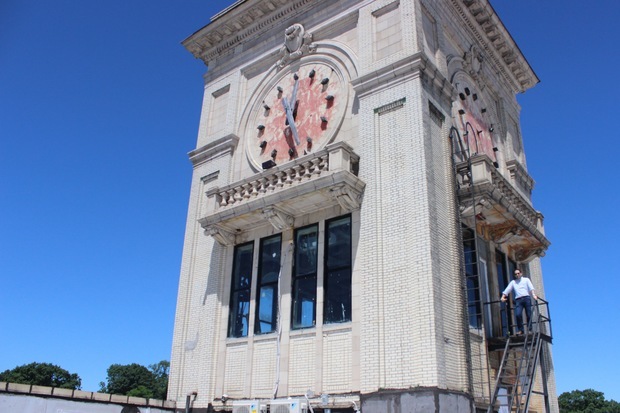 An iconic clocktower in the neighborhood will soon be ticking again over Flatbush Avenue, according to its owner who is working to restore the 100-year-old clock with the help of local preservationists. The four-sided clocktower at 495 Flatbush Ave. — once a Bond Bread factory that’s now known as the Phat Albert building for its longtime ground floor tenant — hasn’t worked for at least 20 years, said Jack Srour, whose family bought the property in 2000. Srour has been thinking about fixing the old clock for about three years, he said, but took serious steps recently to move the project forward to follow the opening of a new co-working space in the building’s top floor — and because a handful of Prospect-Lefferts Gardens neighbors pushed to fix the defunct neighborhood fixture. “A couple of people from the community reached out to us saying, ‘When are you going to fix the clocktower?’ and that’s what nudged us,” Srour said. Now, he is working with the New York-based preservation group Save America’s Clocks to restore the clock’s original mechanism, still in place in the corner of the structure’s large clocktower room. The group visited the clock in mid-May and are sure they can fix it, Srour said. “They said ‘Don’t touch it.’ I wanted to make it digital to make it easier, but they said it’s such a vintage piece and they know they can make it work,” he said. The restoration project, which Srour estimates will cost about $150,000, is set to take place over the next several months. In addition to fixing the mechanisms, he will also work with a half dozen specialists to replace certain parts, including missing hands, numbers and terra-cotta tiles on its face. If all goes well, Srour hopes to unveil the working clock on New Year’s Eve, with a countdown party on the rooftop of the building, recently opened as a roof deck for the co-working space and a multi-purpose event space. At the same time, he’s also hoping to restore the clocktower’s mechanism room, surrounded on four sides by floor-to-ceiling windows (and accessible only by a small, outdoor metal staircase) for use by photographers or painters, he said.